Online CRM software allows to manage customer relationships: keep history of customer interactions, track orders and sales, organize marketing events and customer service. 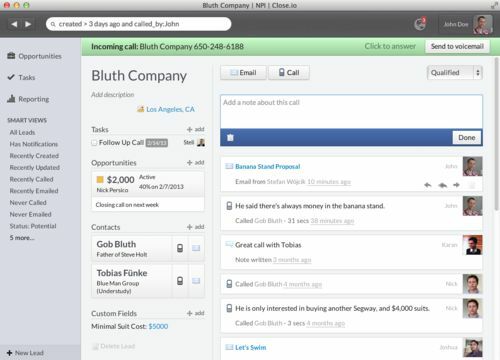 Most-popular CRM. Easy collaboration. Proven cloud platform. 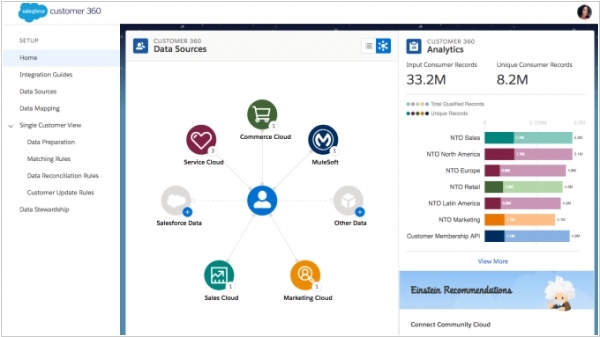 Salesforce.com offers everything you need to transform your business into a Social Enterprise, so you can connect to customers and employees like never before. With no software or hardware to install, you're up and running—and seeing a positive impact on your business—quickly. Free Salesforce alternatives for small business are: Zoho CRM, Bitrix24, CapsuleCRM, Insightly, FreeCRM. 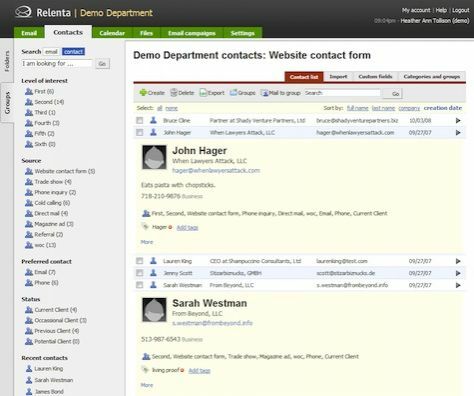 If you are looking for open-source self-hosted Salesforce alternatives pay attention to SugarCRM, SuiteCRM, vtiger. Zoho CRM is an alternative online software for SMB that empowers organizations with a complete customer relationship lifecycle management software for managing organization-wide Sales, Marketing, Customer Support & Service and Inventory Management in a single business system. SugarCRM is an alternative CRM system that is available in both open source and Commercial open source applications. 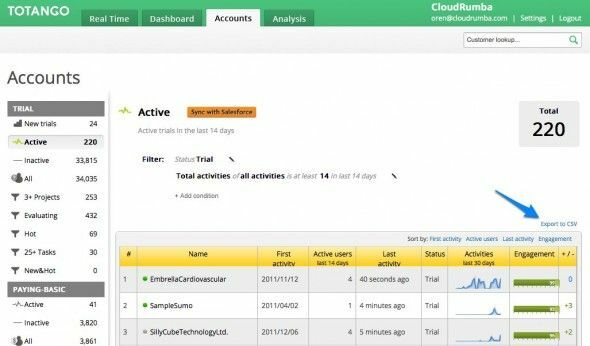 Sugar's functionality includes sales-force automation, marketing campaigns, customer support, collaboration, Mobile CRM, Social CRM and reporting. With amazing sales productivity tools for sales reps, the #1 web and mobile apps in the market and breakthrough visual reporting for sales leaders, Base is the complete and ultimate solution for any team that sells. 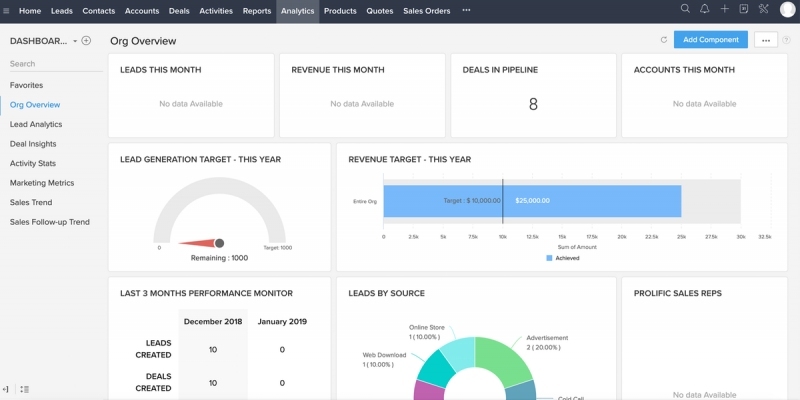 Bpm’online CRM is a process-driven cloud based software that connects the dots between marketing, sales and customer service, allowing to efficiently manage the complete customer journey – from lead to order, and to ongoing account maintenance. The beauty and core value of bpm’online products are the out-of-the-box processes that guide users through the most effective actions to accelerate results. 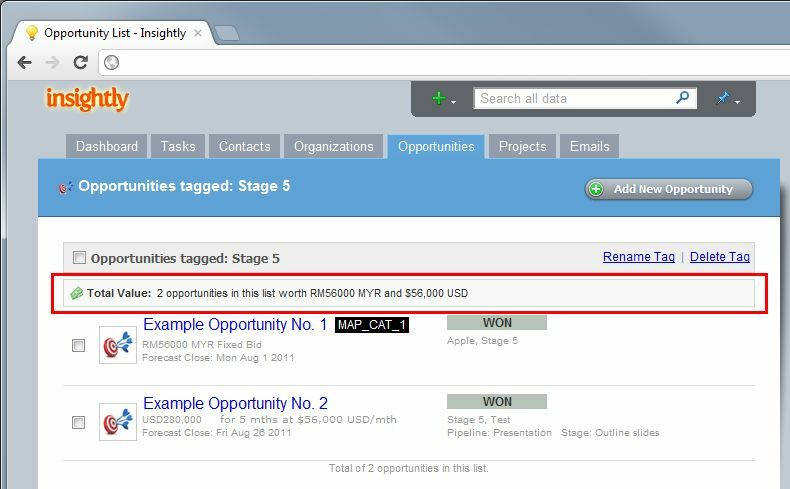 Users love bpm'online's engaging that is free from redundant information and keeps them focused on work. 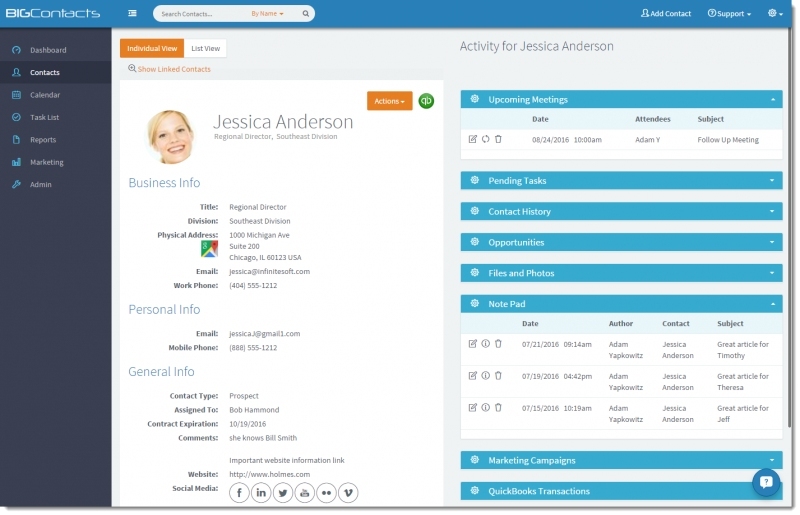 The easy online CRM for doing business. Use Capsule to keep track of the people and companies you do business with, communications with them, opportunities in the pipeline, and what needs to be done when. 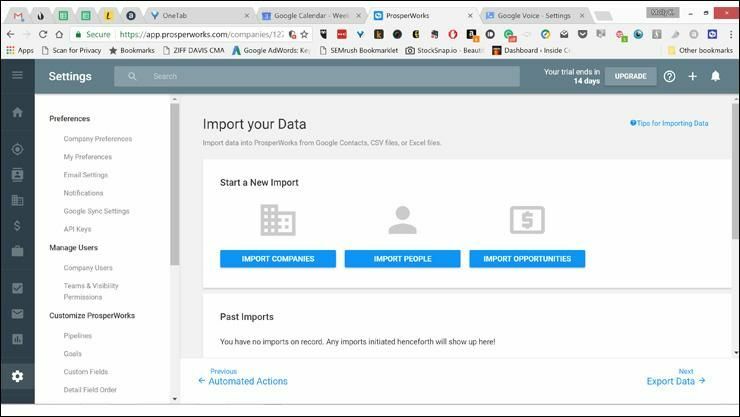 Copper is a cloud-based, cross-platform CRM that seamlessly integrates with Gmail, Google Drive and the rest of the Google Apps suite. Sage CRM is a comprehensive on-demand CRM solution for businesses seeking a low-cost, low-risk option. A fixed monthly price delivers everything: the CRM application, support, backups and updates. 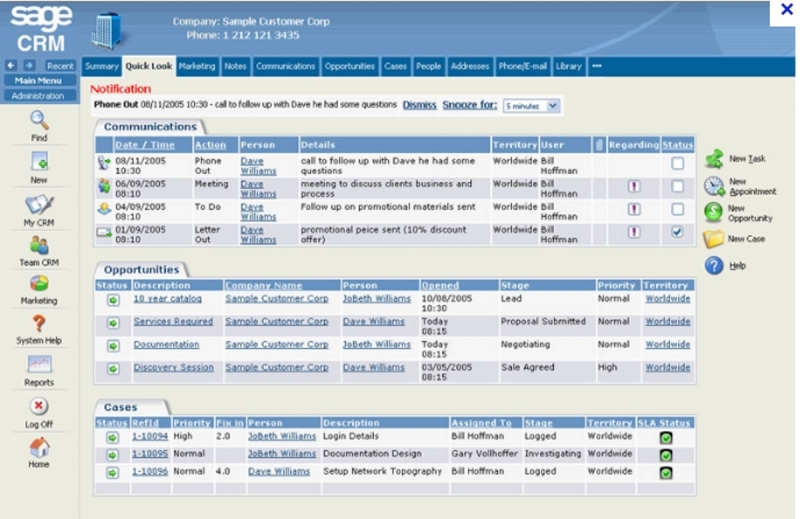 Sage SalesLogix CRM software offers a complete view of customer interactions across departments—providing information and insights for better planning, managing, and forecasting. vtiger CRM is a community-driven, fully open source, CRM software with a worldwide community of developers and user. It includes modules to manage leads, sales opportunities, quotes, invoices, support tickets, knowledge base, inventory and more. Turn Your Social Communities into Customers. 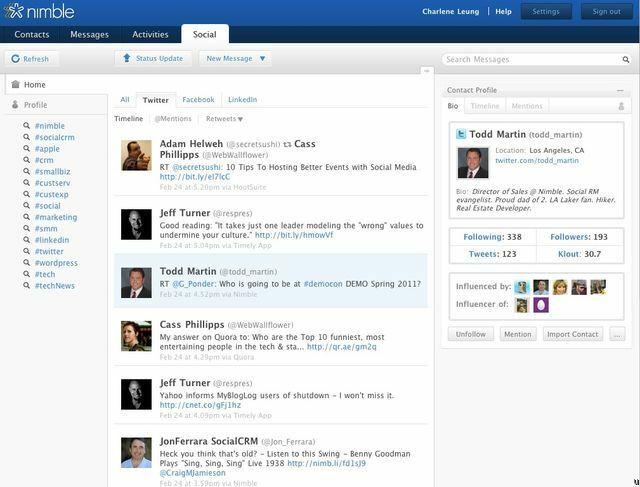 Easily manage your contacts, calendars, communications, and social conversations with Nimble's social CRM. 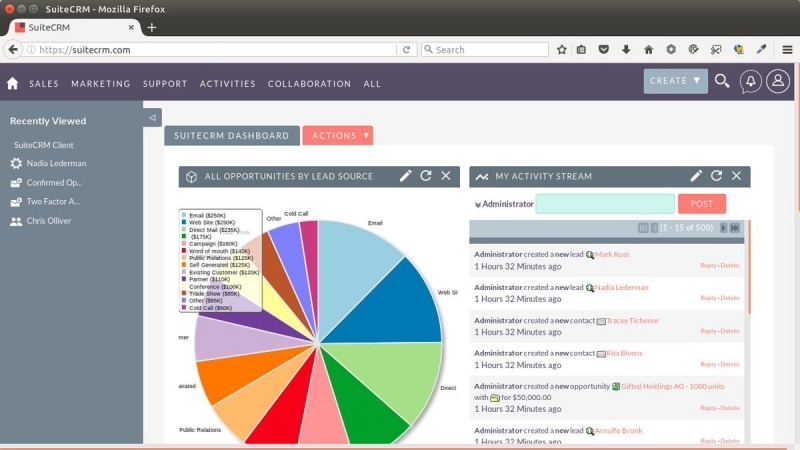 SuiteCRM is SugarCRM supercharged. 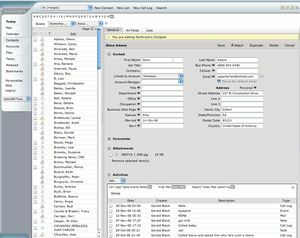 It is a free and open source alternative to SugarCRM Professional Edition. 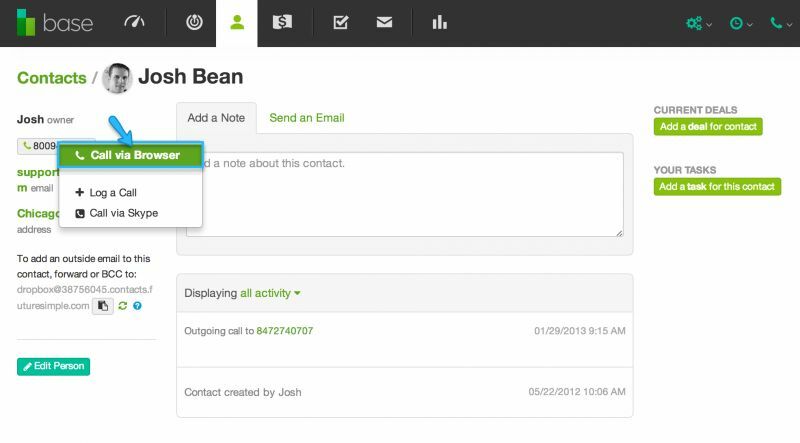 Social CRM, email, contact and task manager for people who get things done. 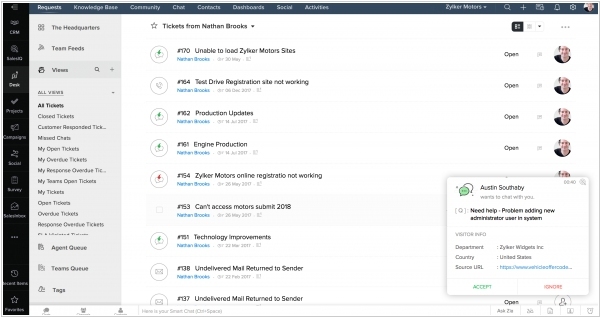 It takes just one click to respond to messages, delegate tasks, update contacts and create to-do lists. 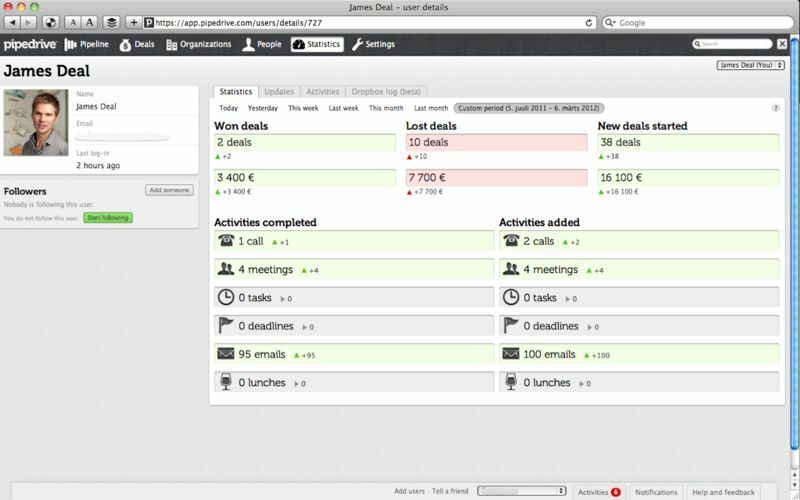 Full featured: group calendar, tasks, email, files, photos, sales opporuntities. 100% Web Based. Work from anywhere, anytime. Mobile phone access. No syncing needed. Designed for organizations from 2 to 2,000 people. 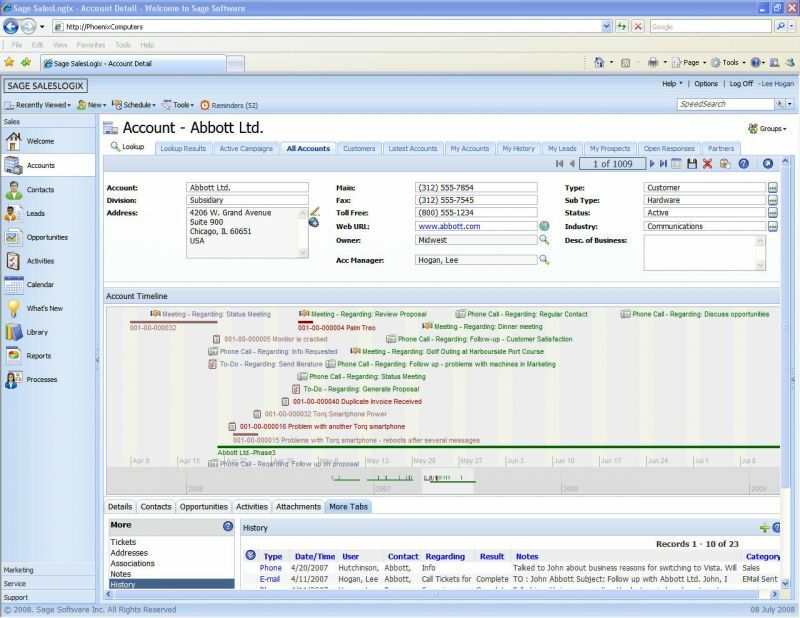 Sales Force Automation and Customer Relationship Management (CRM) tool. 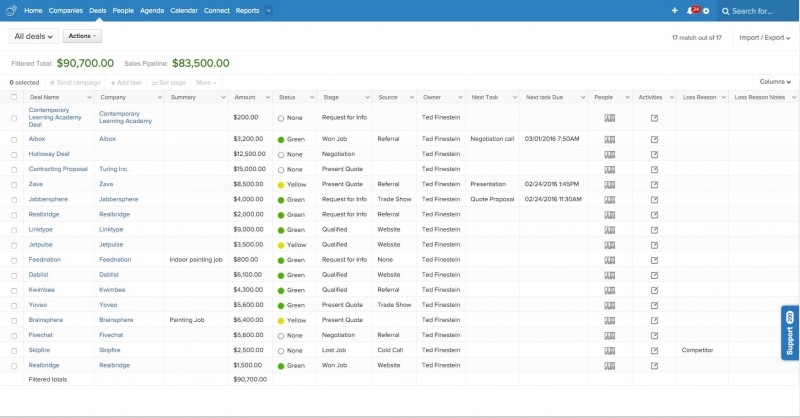 PipelineDeals is simple CRM for Big Business. We've engineered a new user-interface and upgraded our features to provide you with a powerful, elegant and simple sales tool. PipelineDeals.com is designed specifically to be easy and intuitive to use. We didn't bloat our software with confusing and redundant features. Our development process is entirely customer driven and we work hard to accommodate our customer's needs. 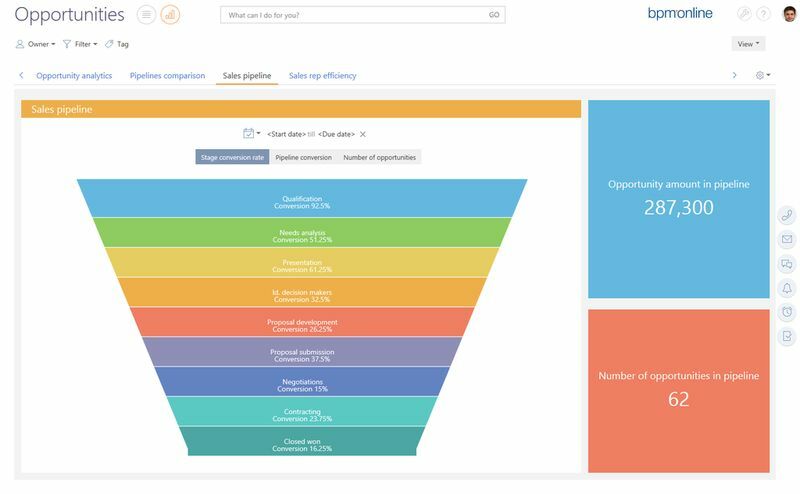 SAP Sales Cloud is designed for the way you sell today, giving you everything you need to work smarter, sell better, and win more. Customer Success and User Engagement Management Service for Online Businesses. Listen to buy and churn signals from product usage data. Understand which customers need your attention and why. Engage with customers in a whole new way to maximize revenue. 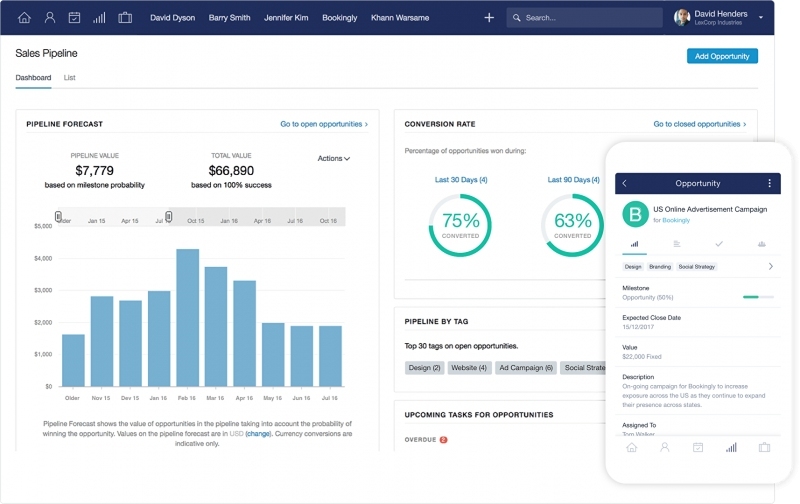 HoneyBook, a customer-relationship management platform aimed at small businesses in creative fields, announced today it has raised a $28 million Series C led by Citi Ventures. This brings HoneyBook’s total raised so far to $72 million. 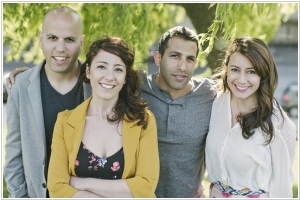 It is using the funds to grow its teams in San Francisco and Tel Aviv and build new features for its user base, including small companies, people who work by themselves (“solopreneurs”) and freelancers. 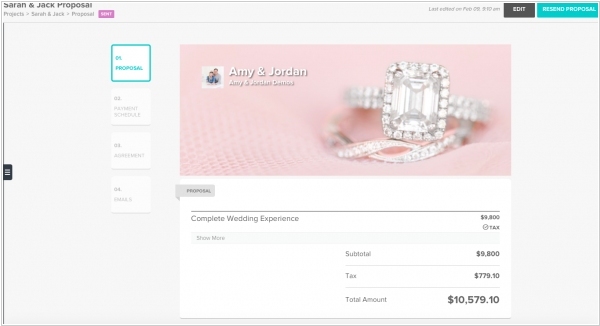 Like other CRMs, HoneyBook helps them develop relationships with potential new clients, manage projects, send invoices and accept payments, but with tools scaled for their business’ needs. 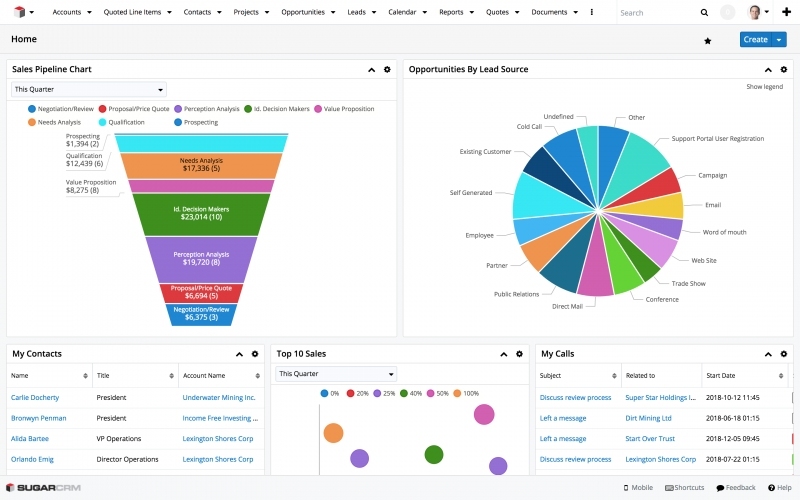 Oracle adds several AI-fueled features for its suite of sales tools. For starters, the company wants to help managers and salespeople understand the market better to identify the best prospects in the pipeline. To that end, Oracle is announcing integration with DataFox, the company it purchased last fall. 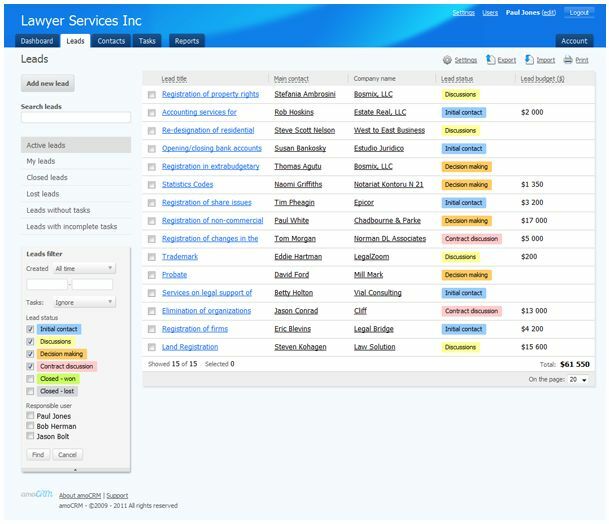 The acquisition gave Oracle the ability to integrate highly detailed company profiles into their Customer Experience Cloud, including information such as SEC filings, job postings, news stories and other data about the company. 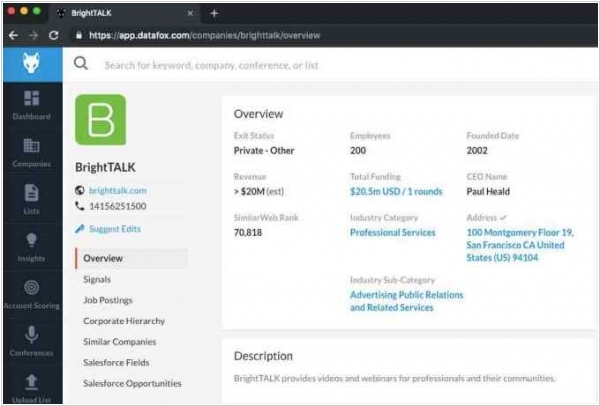 The company also announced an AI sales planning tool. 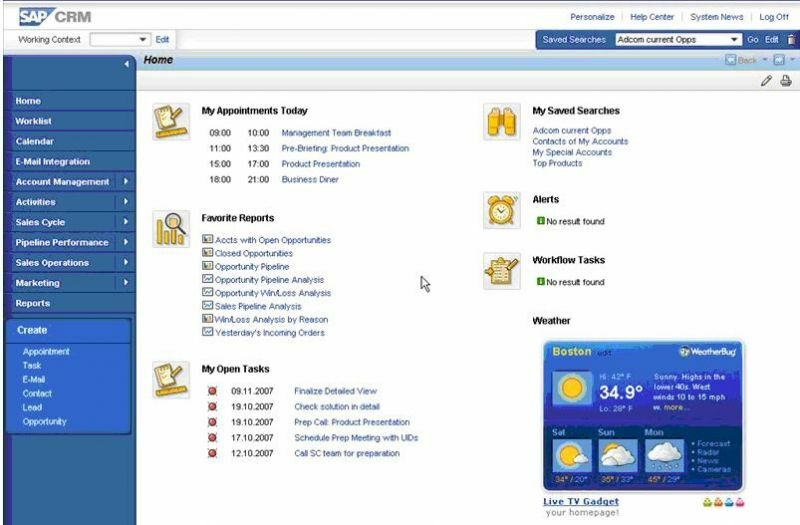 Tarkoff says that Oracle created this tool in conjunction with its ERP team. The goal is to use machine learning to help finance make more accurate performance predictions based on internal data. Zoho updated its unified customer experience platform Zoho CRM Plus. 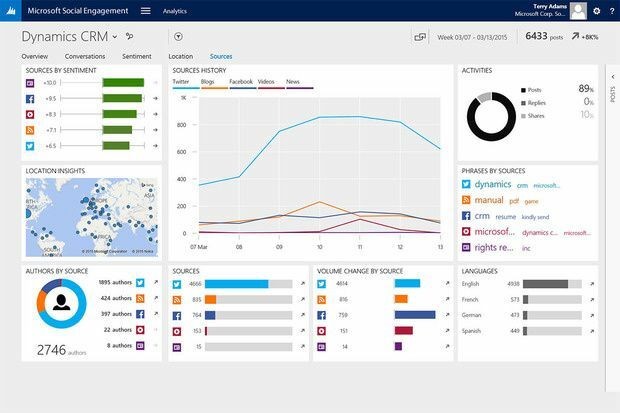 The new version doesn’t just allow your customers to reach out to you through the channel of their choice, it also helps your business teams switch across channels at will. Your sales reps can convert website live-chats to phone conversations, support agents can make or answer calls from within their ticket interface, and your marketers can convert social media interactions into tickets to get problems solved faster. With the bew ASAP plug-in for Desk plug-in, customers will be able to quickly find answers sourced from your business’s knowledge base, raise tickets directly, and even chat with your support agents from within your company website or mobile app. 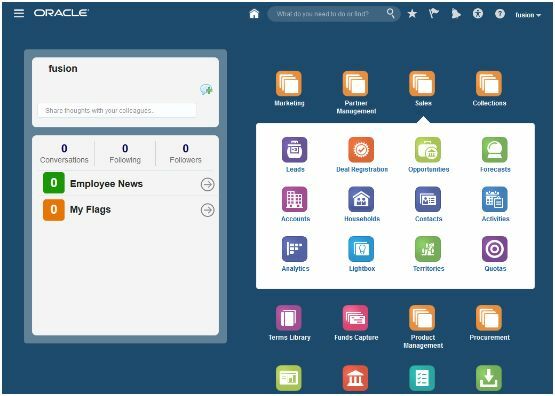 New Blueprint lets you build and automate processes that run across your sales, marketing, and support teams. 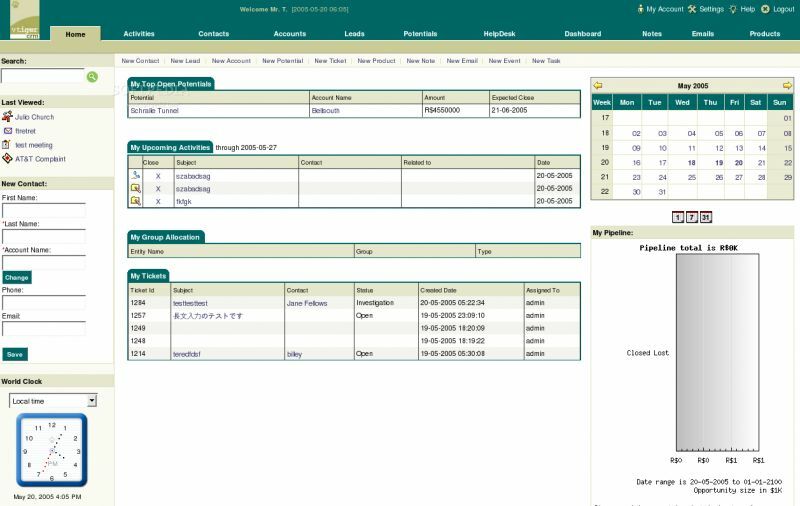 Take your daily sales orders, for example: You can set up a Blueprint for your sales orders that involves both your sales and support teams so that approving a sales order in CRM will automatically create a ticket in Desk, and conversely, the sales order will be marked as “Delivered” in CRM when the delivery is completed in Desk. Sales managers love to talk. In fact, talking is their job. But when it comes to entering customer data to CRM system, they have to type. 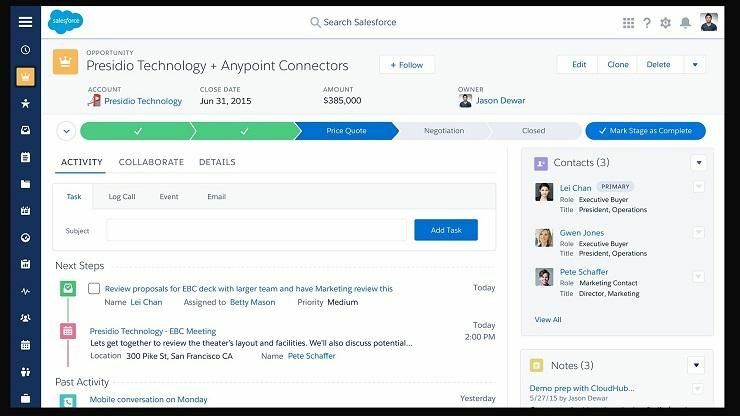 Salesforce wants to save salespeople from such a cognitive dissonance. 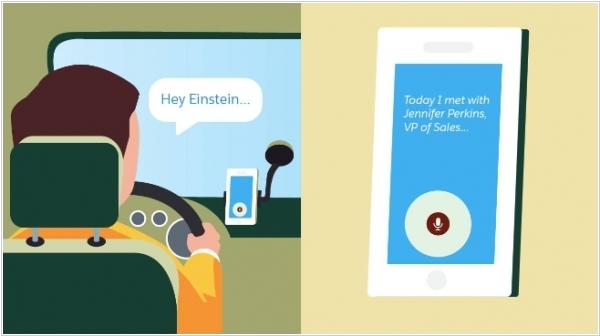 New feature - Einstein Voice - allows to enter data into the system using natural speech. Imagine, when getting behind the wheel, you simply launch the mobile app and talk to virtual assistant: "I just met John Smith. He is interested in buying, but asked to call him in a week ...". And the virtual assistant gently adds a note to this customer history in CRM. But Salesforce should do something with personality of their virtual assistant. It looks wrong to force Einstein to perform such simple tasks.